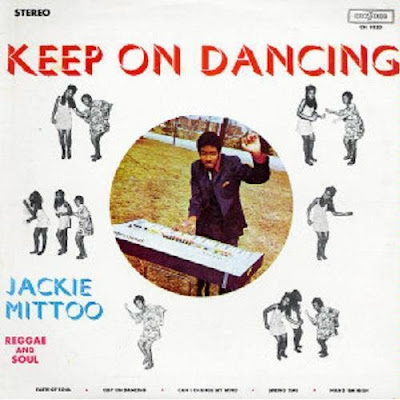 By the time this 1969 solo record was released, organist/arranger Jackie Mittoo had already established his reputation as an important contributor to the Skatalites' catalog and Clement "Coxsone" Dodd's Studio One label. Under Dodd, Mittoo wrote a large chunk of the famous Brentford Road rhythms that would light up the charts, both in their original rocksteady form and as reworked gems for the dancehall crowd of the early '80s. Like many of his fellow session players, Mittoo channeled U.S. soul and funk influences to help concoct a unique Jamaican musical style in the '60s and '70s. And while recent retrospectives, like Hearbeat's admirable "Tribute to Jackie Mittoo" two-disc set, make a first-choice selection easy, this and other of the organists many solo releases on the Studio One imprint beg a listen. One soon discovers Mittoo and Dodd's various house bands (the Soul Vendors, Sound Dimension, and the Soul Brothers) produced more than enough prime shots to fill several roundups. A fine slice of rocksteady and reggae-soul instrumentals from one of reggae's brightest lights.